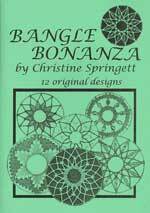 The Pattern comes also from the Bangle Bonanza by Christine Springett. Thread is DMC 80 with metalic Gimp , With metal centre and 4mm red bicone beads and pearl Beads. 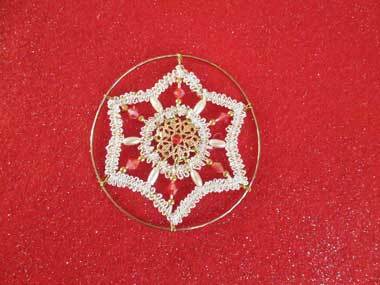 Approx 6 pairs worked in cloth stitch The patterns can be adapted by different beads etc to make them look different.